The longer I work at Festivals the more I become driven to make art and installation from the rubbish and unwanted things we leave after the party’s over. One of the ideas I’m desperate to materialise and see happen is my fish. 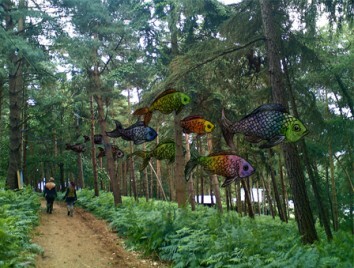 A school of multi-coloured, articulated fish suspended in the Woods at Latitude festival. It’s a festival I’ve been to many a time, but I’ve always felt more can be made of the incredible natural canvas that the wooded areas of Henham Park have to offer. 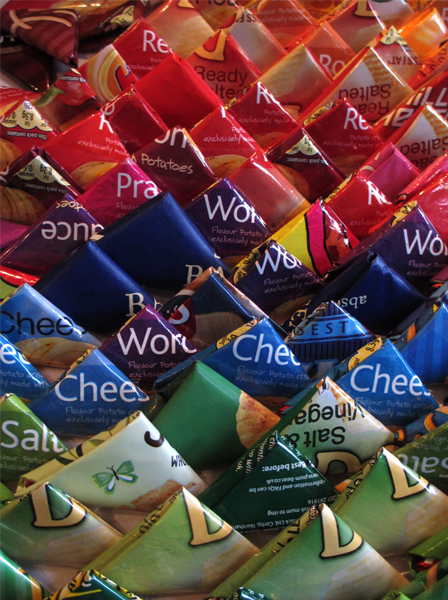 My multicolored school of fish will be made from hundreds of folded crisp packets; I’ve already enlisted the help of friends to collect packets but as soon as term time starts I’m going to hit my old primary and secondary schools with collection bins. 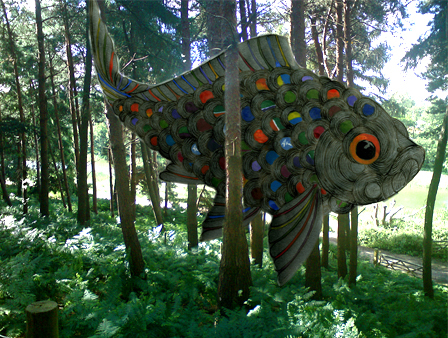 My other fishy idea is much bigger, he’s made of 7″ vinyls donated to me by my dear friend Colin who needed to clear some stock space on his Record Stall in Brick Lane. My plan is to form the vinyl into convex scale shapes piecing the body together. The rest of his details will be made by forming and bending more vinyl to make his face and fins. I might also add extra colour from waterproof fabric from discarded tents picked up at last years festivals. I keep hoping that I’ll meet the right people that can offer me a way into displaying these at Latitude or indeed any other festival. If you can help me please drop me an email.